Columbus is located on the western edge of the state of Georgia. It is located about 100 miles south of Atlanta in Muscogee County. The city is home to about 190,000 residents. 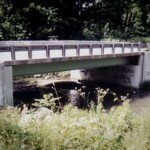 The Cry Baby Bridge was recently destroyed and rebuilt. It is the last of three bridges along the dirt road known as Whitesville Road outside of Columbus, Georgia. Locals claim that a woman either drowned her three children in the water beneath the bridge or the children drowned accidentally. Check out the Cry Baby Bridge in Bear River City, Utah where the same thing was said to have occurred. If you’re going to the bridge to do a paranormal investigation, consider going sometime during the week rather than on Friday or Saturday night. Apparently, teens frequent the areas during this time and ghost hunting becomes pretty difficult. 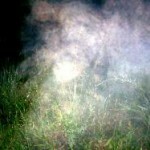 Strange mists and fogs have been reported at Cry Baby Bridge in Columbus. 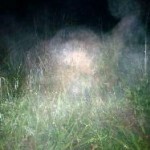 A ghost hunting/paranormal investigation group called Haunt Analyst-Georgia Ghost Hunters were able to capture photographic anomalies at this location. Another group called Explorers of Paranormal Sites were able to capture EVP’s at Cry Baby Bridge. There are Cry Baby Bridges all over the place, but check out the Cry Baby Mill Bridge in Gainesville, Georgia too.